The United States has military forces in Afghanistan to fight terrorism. 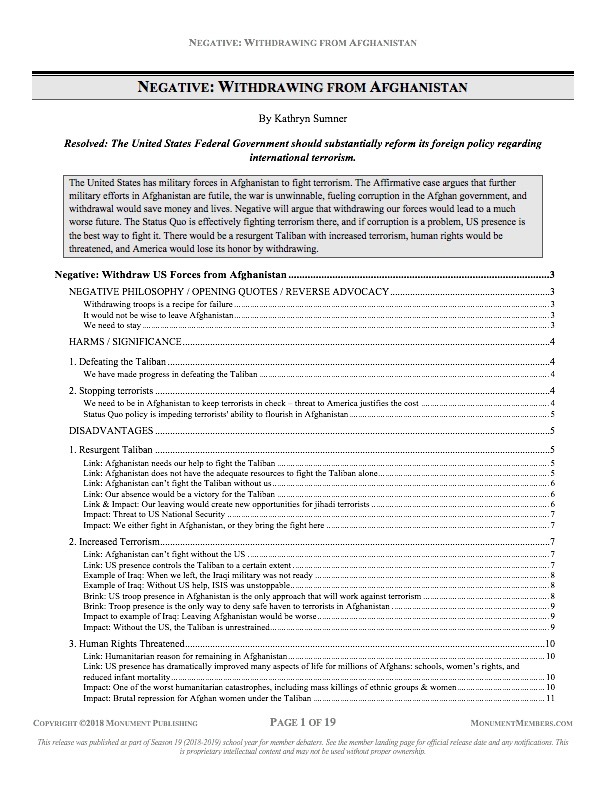 The Affirmative case argues that further military efforts in Afghanistan are futile, the war is unwinnable, fueling corruption in the Afghan government, and withdrawal would save money and lives. Negative will argue that withdrawing our forces would lead to a much worse future. The Status Quo is effectively fighting terrorism there, and if corruption is a problem, US presence is the best way to fight it. There would be a resurgent Taliban with increased terrorism, human rights would be threatened, and America would lose its honor by withdrawing. Kathryn has done three years of policy debate. 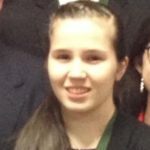 She absolutely hated debate her first year, but started enjoying it her second year when she and her partner placed third at a tournament as well as qualifying for NITOC. Her third year, she and her partner placed second, third, and then first in policy for the three tournaments she and her partner attended. Research is definitely her favorite part of debate.